Versilia is one toxic mix of charme, luxury lifestyle, fabulous mountains and quarries and, ça va sans dire, world famous beach clubs. So Forte dei Marmi is the (more modest) version of St Tropez, while Camaiore - where this villa is located - could be thought as our local Pamplonne: authentic, almost wild, minutes away from the golden strip of sand between Viareggio and Cinque Terre. 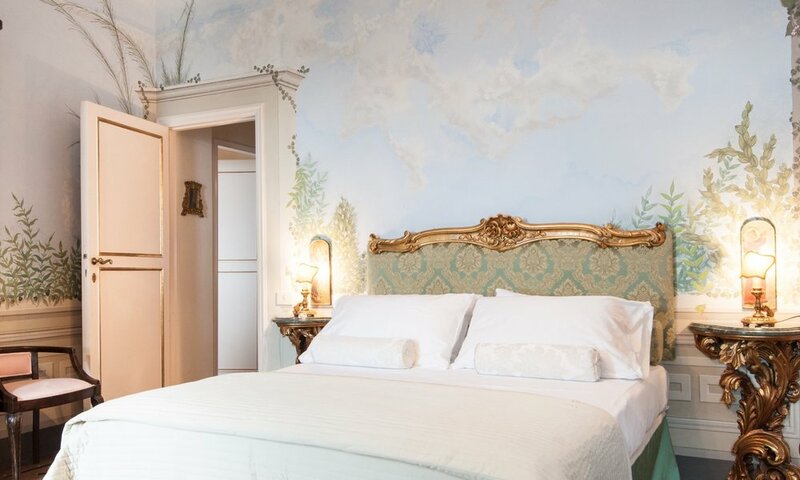 The 18th Century villa is located in one of the most fascinating and world-famous areas of Tuscany: the famous marine area of Versilia, in an exclusive corner with large private garden and 15 minutes of bike from the beach. The property is also minutes from the water and the centre of Camaiore. The marble quarries of Carrara in which Michelangelo carved his masterpiece are a short drive away as are the “Cinque Terre” and the Alpian Alps. The famous beaches of Versilia with surfing, sailing schools and the golf course at Forte dei Marmi are located just minutes away. Relaxing walks through country paths from the villa leading to ancient villages such as Saint Lucia and Monteggiori or designer shopping in the fashionable centre of Forte dei Marmi are only part of what is available to complete your holiday. A magnificent eighteenth-century residence nestled within the Versilia hills, dominating the Tuscany coast, surrounded by picturesque Italian gardens and centuries-old olive groves. The restoration, carried out with full respect of the original building materials, has created a stylish holiday retreat, which retains all the charm of the historic residence together with the tranquillity and privacy of a private home. The breath-taking panoramic view of the sea, Versilia plains and Tuscan hills can be appreciated from the house, swimming pool, gardens and terrace. The pool, 10m x 4m, is open from 15th April to 15th October. The ornamental gardens offer a haven of beautiful panoramic views of the Versilia coast line, open all year around where you can enjoy a quiet moment reading or walking through the lemon trees, roses and decorative fountains. The swimming pool, with sun beds and umbrellas, is located in a panoramic area in the centre of the gardens behind the villa. An oasis of peace and tranquillity surrounded by enchanting grounds of unique beauty. If teen-agers are in the group, around this villa lies the town of Forte dei Marmi where every evening, starting from 7pm, teen-agers gather in the centre of town and hang out together. There are a number of discotheques for youngsters as well and we can help getting them at the disco and/or putting them in contact with the local PRs.